Wisconsin cheddar is like mother’s milk to me, so my palate took me home with every single age on the plate. Call me crazy, but from the tastes of the cheeses it seems as though there are certainly very happy cows in Wisconsin, too. The Penterman Gouda – made with raw milk – had extra flavorful crunchy bits and the Airco Hickory-smoked gouda was so perfect when paired Best In the East’s Jummai Ginjo, which is brewed with their very own rice. Junmai Ginjo is a sake made from rice grains that have been over 50% polished away and is therefore extra smooth and refined -Â aÂ perfect pair with a smoked cheese. 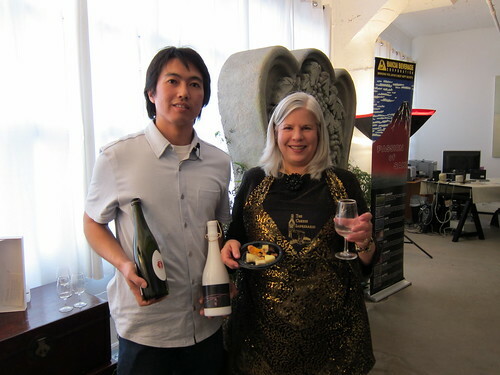 My favorite sake was the Euphoria by Jokigen, a well-balanced sake with a fruity aroma. 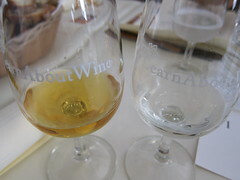 It was paired with the unique Roelli Dunbarton Blue – a Cheddar-Blue cheese that has a delicious earthy taste, nutty-sweet finish and a pungent, sour rind (believe me – I tried). Following the Dunbarton Blue wasÂ Joe’s Aged BrickÂ Spread that came on a toast – super-creamy, rich and delicious. I want a tub for my own refrigerator. The star of the day, saved for last, was the pairing of Banzai’s Plum Nectar Sake (Aragoshi Umeshu) with Hook’s 10-Year Cheddar. Now, it was Hook’s 15-Year Cheddar that received all the hype just a few months back for being the oldest cheese, but I absolutely loved the 10-Year. 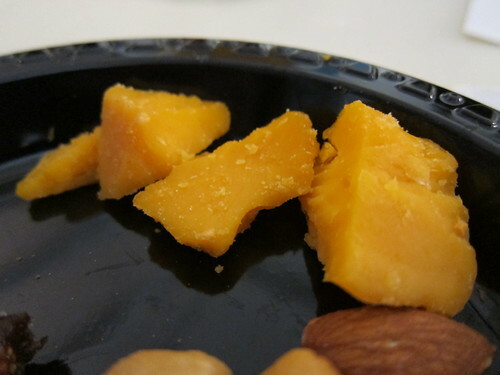 I could taste the crystals in the cheddar and it was absolutely heavenly: Super sharp and rich yet still smooth! It was perfect when washed down with the sweet plum sake (21% plum nectar by volumne), which was sweet as well as tart at the finish. Beautiful. 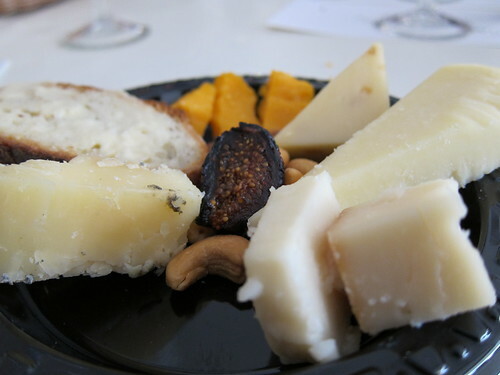 Who knew sake pairs well with cheese? Certainly not I, but I felt privileged to have been a part, and that this happened in Los Angeles – a true crossroads with so many cultures that have been imported here.Â It was aÂ live experiment in true Western-Eastern foodÂ “fusion,” though the term become hackneyed with spicy tuna roll and teriyaki burger associations. It just works. This may just be the next revolution. 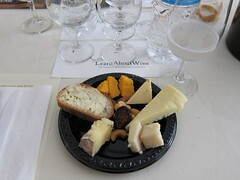 This entry was posted in Downtown LA, Events, Food and tagged Banzai Beverage, Barrie Lynn, cheddar, cheese, cheese pairing, gouda, Hook's, Kei Inoue, Learn About Wine, pairing sake and cheese, sake, sake pairing, The Cheese Impresario, Wisconsin cheese. Bookmark the permalink.